Brian Reid is a fine furniture maker who designs and makes one-of-a-kind, artisanal furniture in the American studio tradition of Sam Maloof or Jere Osgood. Created at the highest level of craftsmanship, each heirloom quality piece uses traditional dovetail joinery, whether it is a hall table, console or custom cabinet and are completed with hand-rubbed, natural oil finishes. Signature features of Reid's work include Asian or Chinese joinery and intricate hand-pierced or stack-cut, inlaid/parquetry designs. 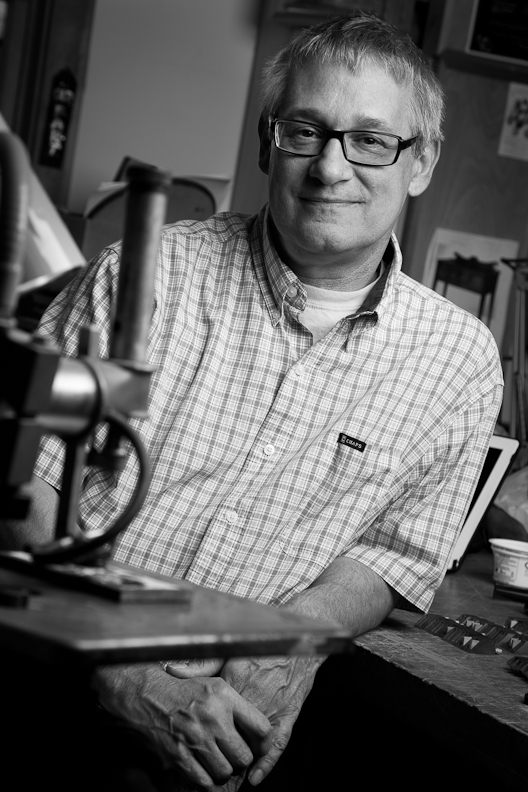 Reid splits his time between teaching worldwide or offering individual, private woodworking instruction. Interested in private tutoring? Contact Brian with your questions or travelling to your studio at your convenience. 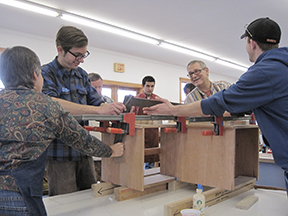 View examples of student projects from the Center for Furniture Craftsmanship 12 Week Intensives (from 2011-2014). 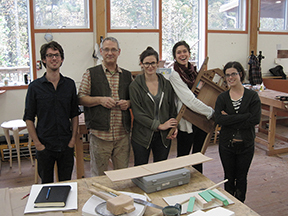 Check out my Flickr site from the 2012 "Furniture and the American Evolution" class at Penland School of Crafts' 8 Week Concentration in Woods. Many thanks to Jack Mauch for his kind tribute for the Penland auction. Photo: Jack Mauch (2012 core fellow), Michaela Stone (teaching asst), Audrey Bell, Liz Koerner (2012 core fellow) and Bob Biddlestone (core fellow, not pictured).